Another great job done by CJ Window Tinting in Dresden. This is a recent job at a local car dealer in Chatham of their showroom. 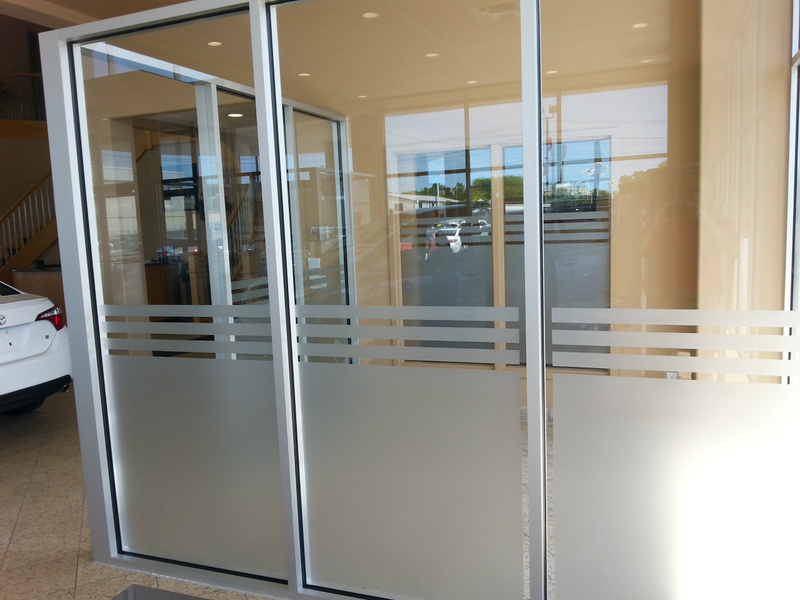 We can install frosted window tinting in your home or office as well.. 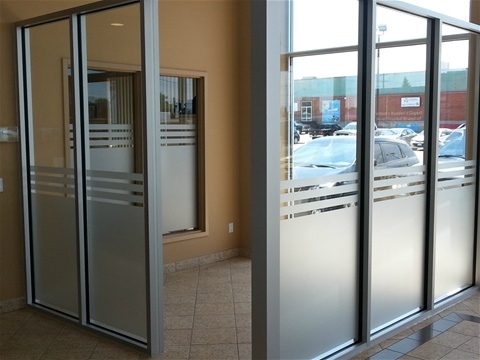 When consumers are looking to spruce up their homes, or storekeepers their storefronts and businesses, CJ Window Tinting (member of the International Window Film Association) knows that DECORATIVE FILMS can be the way to go..
*Improves the interior design of any space quickly,efficiently,while saving lots of needless expense. A great job done by CJ Window Tinting. 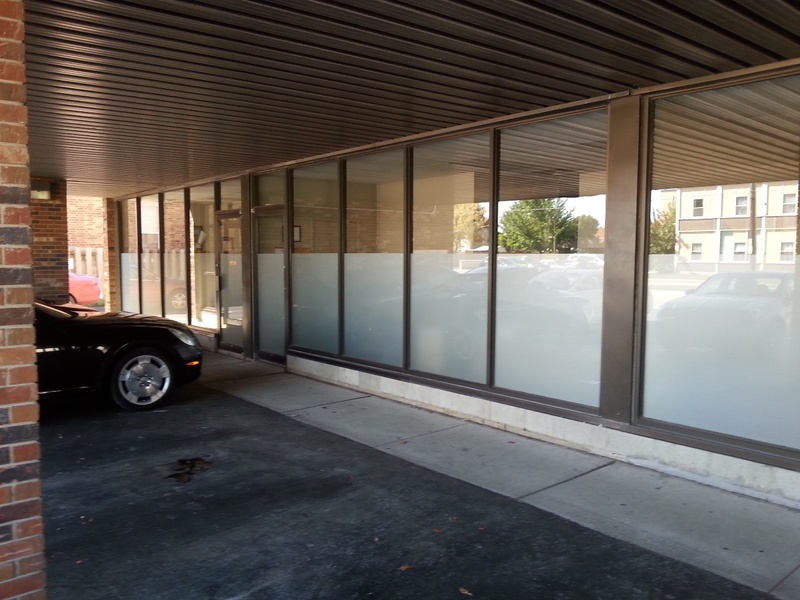 This is a view of the front of a real estate office in Chatham with frosted film..